Samplesound are back with an evolution of their highly rated and well received Minimalism Series, this is Vol 2. The pack is loaded with 478,4 mb of drum loops, top loops, bass loops, percussion loops, synth loops, eft and texture, all royalty free. A collection of sounds inspired by such labels as Little Helpers, Bla Bla music, Minus and Cadenza Records, this pack has been designed to offer the most in demand needs of minimal producers. Within the pack there are wobbly baselines, inviting high hats and solid perc loops that have been tried and tested by Samplesound’s team of sound engineers and producers. All samples are formatted at wav 44100hz 24 bit as standard. 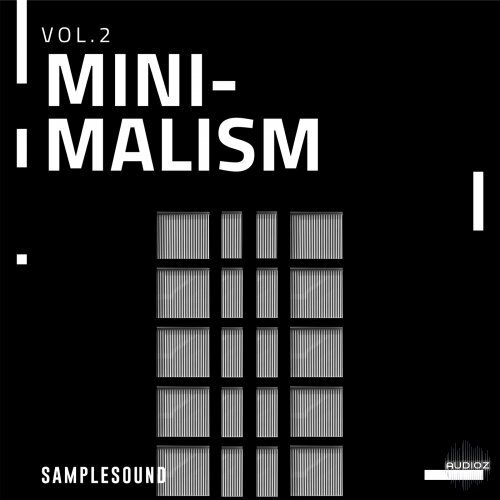 Samplesound Minimalism Volume 2 WAV has been exclusively released on AudioZ by Fantastic who chose to ask not to post mirrors.